What do you picture when you think of meditation? Do you see someone sitting peacefully on the ground sitting in the lotus position? Their hands up in the air? And do you think that seems like the most uncomfortable position in the history of the world? Meditation is about finding a balance. Sitting in the lotus position to meditate is just one way to find that balance. There are actually several different ways to meditate and many of them can be accomplished in your spare time. So if sitting “criss-cross applesauce” isn’t your style, there are still options to consider. That way you can take advantage of the many benefits which meditation can bring to your life. In the first stage of meditation, the goal is somewhat simple: to rid the mind of distractions. This helps the mind become clear and lucid. A simple breathing meditation can be enough to accomplish this first stage. All you need to do is choose a quiet place to meditate and get into a comfortable position. That means you can sit in a chair. You could sit on your bed. You can run away from your desk and sit on the toilet in a locked bathroom if that’s what it takes. The most important thing here is to keep your back as straight as possible. When you sit with good posture, it prevents the mind from feeling sleepy or becoming sluggish. Once you’ve found a comfortable place to sit, then you’ll want to keep your eyes at least partially closed. Focus on your breathing, but not in the way that a doctor asks you to breathe when you’re being examined. Take the air in through the nostrils if you can. Do not attempt to control your breath if at all possible. Feel the sensations of the air moving through your passageways. Concentrate on this process and nothing else as best you can. And, if you’re like the average person, your brain will start thinking about all of the important things you could be doing at the moment besides meditation. Some people see this as a failure. It’s actually a success. A busy brain indicates that your mind is becoming more aware of life and its surroundings. If your mind happens to wander away from the breathing process, just come back to it as soon as you can. Repeat each breath and follow its progress through your air passageways until your mind settles and you can experience the benefits of the first stage of meditation. Breathing, though simple, can provide positive benefits. Instead of focusing on the chaos of the world, you can begin to focus on the deeper levels of contentment and happiness that are buried in the subconscious. This can help you cope with the difficulties of the day, relieve stress and tension, and stay centered emotionally. One of the most radical insights that has ever been offered to humanity is this: the cause of suffering can be erased when we see our true nature. Vipassana meditation is the process that can help to make this happen on an individualized level. This meditation focuses on the factors of life that can cause stress and pain. By identifying desire and ignorance, we can begin to detach from the causes of distress that occur on a regular basis. The goal with this meditation is to reduce emotional reactivity. Get started by finding a comfortable position in which to sit, keeping the back straight. Plan to meditate for 20 minutes, but if you can’t make it that long at first, try to accomplish at least 10 minutes of meditation. Feel the temperature change in your nostrils as the air passes through them. Observe any other feelings that occur as you breathe. Your chest may rise and fall. Your cheek may quiver. Also observe any thoughts or feelings which occur during this time. Do not react to those thoughts or feelings. Think of them as a document you are viewing. There will be times that the mind will wander. This is normal. Perhaps remind yourself that you are meditating so that you can come back to the sensations you are attempting to observe. Observe if there are any feelings there. If you do not sense anything, stay there a moment to be sure. Then progress down your body, one stop at a time, noting the sensations that you experience. You are developing equanimity during this process. Do not get caught up in the amount of time it takes. It may take the full 20 minutes or it could take just a single breath. By knowing more about yourself and being aware of how you attach to certain dynamics in life, it becomes possible to recognize and then detach from the stress and pain that is being experienced. Maybe sitting still for a long period of time just doesn’t feel right to you. Some people have legs that are very restless. Others find movement just as peaceful as some find sitting in a comfortable position. If you struggle to sit, then walking meditation could be a viable option to meet your needs. 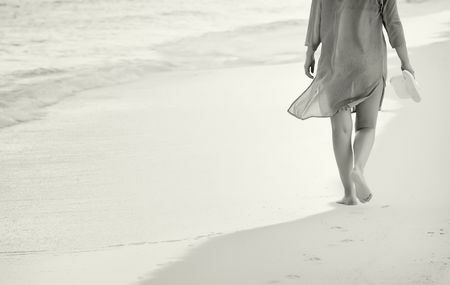 Walking meditation does require some coordination between your senses and the movement of your body. But it can also be immensely rewarding if you can get through those first awkward moments. Because the eyes are open for this meditation, you can directly observe mindful moments as body sensations occur. This allows the mind to tie-in these observations and sensations to the present, creating a moment of mindfulness. Set a goal for 15-20 minutes for your walking meditation effort. Walking can occur inside or outside. The environment should be somewhat enclosed, like a natural trail or a secluded hallway in your home. It is also important that you feel safe in your environment. If you have a backyard that is protected by a fence, this would be a good location to attempt this type of meditation. Take a minute or two while standing still and just breathe. Note any potential sensations, feelings, or thoughts that could disrupt your balance. Acknowledge them. Keep a slow walking pace. Try to make it steady and even. Any disruptions to your walking rhythm can agitate the mind, which weakens the mindfulness experience that can be achieved. Then walk in a way that is comfortable to you. Some people choose to walk back and forth along the same route. Others prefer to walk toward a destination. You may also prefer a mantra walking meditation that requires a specific number of steps for each breath, such as three steps then inhale, then three steps and exhale. Do you believe that there are perfect moments around you right now? Sometimes it can be difficult to see how a moment can be perfect. Receiving bad news of any kind tends to inspire despair rather than joy. Yet in even our darkest of days, there are still pinpoints of light that hope can provide. It is within this hope that we can always find perfection. Mindfulness meditation allows us to access this hope on a regular basis. It is a process which allows us to experience the moments which we often ignore during our daily responsibilities. Have you ever stopped for a moment and smelled something good that floated by on the breeze? Like a backyard grill starting up, the smells coming from a steakhouse, or a blooming garden of wildflowers? That moment where you stopped was a moment of mindfulness meditation. Now let’s take those moments of meditation and expand them into minutes. In mindfulness meditation, you experience life. If you were to touch a wall, you would feel its temperature. You would note its texture. Does it feel hard or does it feel soft? Is it rough or is it smooth? We can place that level of focus onto our bodies as well. Take 3-4 deep breaths as you close your eyes. Then focus on one joint in your body. How does it feel right now? If it is painful, what is causing that pain? Can you identify another part of your body that could relieve that pain? How does it feel when the joint moves? We can also apply that experience to our thoughts and emotions. Why do we think certain thoughts? What causes us to feel certain ways? Mindfulness can even be practiced while eating, experiencing the textures and flavors of the food. The time we spend in mindfulness allows us to identify the moments of perfection that are surrounding us. Then we can spend time with that perfection, seeing that life doesn’t have to be as dark as it often seems. Personal benefits are important, but a time of meditation can be much more than a focus on the self. It can also be used as an outward expression of gratefulness, love, and kindness. In Loving-Kindness meditation, there is an equal focus on opening the heart in addition to the mind. The goal is rather simple: to cultivate compassion, love, and forgiveness for those who surround us every day. To serve others is a spiritual path that has been incorporated into almost every religion and belief. Love is what binds us all together. This form of meditation places an emphasis on an outward expression of that love. Loving others requires an element of loving oneself. By taking part in Loving-Kindness meditation, that is exactly what you’re beginning to do. You’re creating an environment of love that allows for meditation. Then you push that love outward to everyone else that you know or meet throughout the day. To start this form of meditation, it is necessary to become comfortable in your chosen space. Keep your eyes closed and begin to visualize each person. Picture the details of their face. Remember how they interact with others. Once you have a full picture of them in your mind, offer them a blessing. Loving-Kindness meditation is most effective when that blessing can be turned into a mantra. Here is just one option you could use. Then repeat the mantra twice so that you’ve said it a total of 3 times. If you offer the blessing more than 3 times, that is fine as well. Picture as many people that you can during your 15-20 minutes of meditation, repeating the mantra for each one. Then take a deep breath in, breathe out, and repeat. Take a moment to pause and reflect on what you’ve just experienced. Notice the state of your mind. How do you feel? In the movie Office Space, the lead character is asked why he didn’t show up for work. To paraphrase the scene, he’s asked what he did that weekend instead of coming into the office for overtime. The line in the movie is designed to generate a laugh, but there is more truth in that statement than many realize. The ability to sit and do nothing allows the mind to rest. It encourages a sense of peace to develop. Do Nothing meditation is based on the idea that it is sometimes necessary to give up. "Sit or lie down and just allow your mind to do its thing. Your aim is to tolerate being there without trying to control anything." Every time you notice a desire or intention to control your attention, choose to give it up. Unlike some other meditation styles, there is no formal posture or position that you need to follow unless it is something you want to do. Then you just let the day happen. If you notice yourself doing anything intentionally, then Do Nothing meditation requires you to stop. The point here is to distinguish between events you do control and events that are outside of your control. There are many ways that we intentionally do something every day. We might intentionally think about something, plotting and planning a way to solve a potential problem. We can focus on something specific, like a conversation. We can attempt to create equality, keep track of the news, or decide to read engaging content about the different ways there are to meditate. Trying to meditate, in fact, is something we can intentionally do every day. Let all of it go. Just be there, in the moment, doing nothing. To say that this form of meditation is difficult would be understatement. In our modern culture, the pace of life can be very fast. The amount of information we all consume is enormous. Some estimates say that our brains download 34 GB of data every day. Do Nothing meditation stops the downloading process. Try to keep doing nothing for 10 minutes if you can. Many people are practicing a form of mantra meditation, even if they don’t realize that is what they are doing. If you pray the Rosary, then you are participating in a form of this meditation. If you structure your prayer with the use of beads, bracelets, or other tangible objects, then you are also practicing this meditation. Virtually every culture in history of modern humankind has believed that the power of words is sacred. In the ancient Vedic traditions, it was even believed that mantras could control or influence the gods. Now in the traditional Buddhist meditation practices, chanting is sometimes practiced, though this is not technically a mantra meditation – though it could be used as such if someone so desired. Any repetitive phrase has the potential to be a powerful addition to your daily routine. There are some common mantras that are used around the world every day. Even people who do not meditate regularly may know some of these phrases. Mantras like these are often considered to be sacred. Many associate profound spiritual concepts to them. They can be used by you during a time of meditation to communicate with yourself and the rest of the world with a greater level of harmony. One unique option to consider if you’re looking to include Mantra meditation in your daily routine comes from the Torah. Moses once asked God what His name happened to be. Think about that as a mantra for a moment. You are no longer defined by your past. Your future is no longer dictated. There is just this present moment. You will be what you will be. 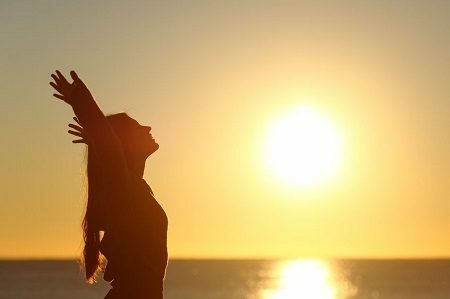 Another option that can be utilized in Mantra meditation is the use of a positive affirmation. Using something as simple as “I will be happy,” as part of your meditation, can be all that is required to change your overall mindset. Do you feel distracted more often these days? Studies indicate that the average attention span for humans has dropped from 12 seconds to 8 seconds since the year 2000. To put that into perspective, the average goldfish has an average attention span of 9 seconds. This means the average goldfish can concentrate more effectively than the average human. Humans have minds that are almost constantly running. There are thoughts about everything happening all the time. When too many thoughts, decisions, or actions are being taken at once, it becomes difficult to complete a simple task at times. Concentration meditation is the act of shutting down all the excess programming that is going on in your brain right now. It stops the Monkey Mind. Ever notice how a computer tends to slow down when there are multiple software programs that are open and running simultaneously? If you shut down some of those programs, the computer begins to run faster and more smoothly. The same thing happens to your brain if you shut down the items that you don’t need to be focusing on right now. Think of your brain as a browser. How many tabs do you have up on your browser right now? Most people have 6-8 open at any given time. You’re going to be going down to just one open tab with Concentration meditation. Get into your meditation environment. Find a position that is comfortable. Then, one by one, begin to start turning off the needless noise and clutter that is slowing down your brain. You’ll find it becomes much easier to concentrate on one singular point of focus when all the extra software that is running in your brain has been stopped. When you first get started with Concentration meditation, you’ll notice that there are certain urges that can feel like they will overwhelm you. There may be a need to check for texts on your phone. Your mind might wander to what you want to post as a Facebook or Twitter update. Take a deep breath when these urges come. Hold it for a period of 4 seconds. 1… 2… 3… 4. Then let that breath out. Repeat until the urges go away. That is what it takes to shut down just one program in your mind. Once it is shut down, you’ll notice more urges begin to appear. You might start thinking about work emails you need to send. You might think about what to cook for dinner later. You might start worrying about your family or friends. Repeat the breathing process once again. Continue until the urge goes away. Then keep going until you feel like you are focused on one element only: your breathing. At this point, you’ve successfully shut down everything, so stay in this peace for as long as you can. If you struggle to shut down all the excess software programs your brain is running, you haven’t failed. It is the process of shutting down that is important to Concentration meditation. The more you work on this process, then the more efficient you will become at it over time. When you have a dream that you are pursuing, there are likely moments where you visualize yourself accomplishing that final step required to achieve your goals. This is a small form of Visualization meditation. The purpose of setting a goal is to achieve a desired result. To get to where you want to be, it is necessary to define where you are now. This definition is the beginning of this form of meditation. Many people use "goals" and "dreams" interchangeably, but they are two separate processes. Many believe that achieving their goal will be the final step of their journey. It is not. Achieving a dream is the final step of a journey. This confusion is what causes many dreams to fail, as there is no consideration given to the goals that help define each person on their own individualized path. In other words, we define ourselves by our accomplishments instead of the journey it takes to reach our dreams. The journey matters. Visualization meditation helps you focus on that journey. Start this type of meditation by imagining the best possible outcome that you would like to see happen in the next year. Visualize yourself living out your life when all your dreams have come true. What does this reality look like? At this point, negative self-talk often tries to stop the visualization process. Set those thoughts aside. Acknowledge that they occurred, but continue onward with your visualization. How were you able to achieve your dream? What actions did you need to implement to take that final step? Now imagine that you can take a photograph of this mental image. Take a deep breath, create the snapshot, and then breathe out. Repeat for each step you visualized. Then set these images in your mind as if you are saving a file on a computer. Now think about what needs to happen so you can take the first step of your journey. Think about the decisions and actions you will take. Picture them in your mind. Once you have that picture, it becomes possible to take action. Maintain your focus and implement what you’ve visualized. Through repetition, it becomes possible to create in reality what you’ve been creating with your mind’s eye. Many forms of meditation are designed to encourage a release of energy. That allows the mind to reduce stress and anxiety. Counting meditation takes a different approach. It is more of a strength-building exercise to help create more power within your moments of concentration. One of the key elements to transform the mind is to breathe correctly. 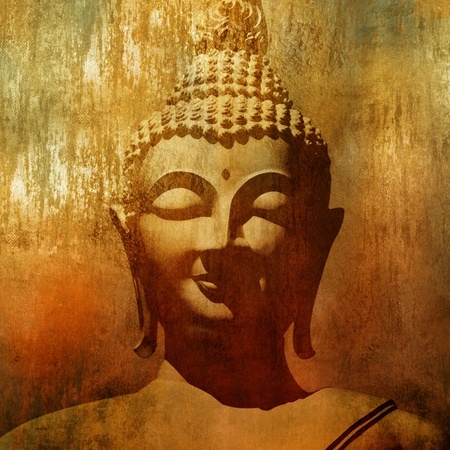 Many Buddhist meditators of the past have studied the connections humanity has with the mind, body, and external world. Through regular practice, it is possible to regulate multiple processes. It is possible to control the nervous system, personal moods, the circulatory system, and even thoughts. By doing so, it becomes possible to perceive what the rest of the universe has in store for your life. Counting meditation provides the foundation for correct breathing. Each person has their emotional changes reflected in their breathing. If you’re calm, then your breathing is deep and repetitive. On the other hand, if you are excited, your breathing will accelerate and become shallower. Through counting meditation, you change your emotional state because you are changing your breathing foundation. For this meditation to be successful, the first step of the process is to learn how to properly breathe through your abdomen. Find a place to sit that is stable and comfortable, but not so comfortable that you’re encouraged to slouch. You want to be sitting straight up. Have your feet even with each shoulder and flat on the floor. They should be parallel with each other. With your right hand, place it palm-up on your lower abdomen. Let it rest in your lap as naturally as possible. Then place your left hand, palm-up, on top of your right hand. Join your thumb tips so that you are creating an arc shape. Now tuck your chin just a little. Press the tip of your tongue to the roof your mouth, just behind your upper teeth. Keep your eyes open while doing this. You don’t want to be staring at a singular object. Just be relaxed and observe the world. Now inhale through your nose. Gently push out your abdomen, like it is filling up with the air that is coming into your body. When your abdomen fills full, hold that breath for a count of 3 seconds. Then slowly exhale through your nose, pulling your abdomen back into place. Then pause again for a count of 3 seconds. Once you become used to this method of breathing, then you’re ready to begin counting meditation. #1. Get into the position required for abdominal breathing. #2. Start the breathing process and inhale. Then pause. #5. Continue to repeat until you reach the count of 10. #6. Now continue the abdominal breathing, but begin to count in reverse. After reaching 10, at the very end of the next breath, you will mentally count “9.” Then “8.” Then “7.” And so on. #7. If you have a random thought come through your mind and it causes you to hesitate with your counting, then you must start over and mentally count “1.” This applies if you’ve forgotten which number you are on or become distracted in any way from your abdominal breathing. #8. The goal of counting meditation is to go from 1-10 and then back again, but it isn’t a competition. See if you can achieve this goal, but focus more on the abdominal breathing and counting. Remember: counting meditation is an exercise which is designed to build strength. Achieving a perfect session of this meditation type is difficult, even for those who have been practicing meditation regularly for years. It will help learn how to keep distracting thoughts away and encourage the mind to concentrate. Guided meditation is a partnership between you and a guide. It is one of the easiest ways to enter a state of meditation because there is a specific point of focus for the mind. This makes it a useful meditation method for eliminating stress, obtaining positive personal changes, and enjoying moments of inner stillness. 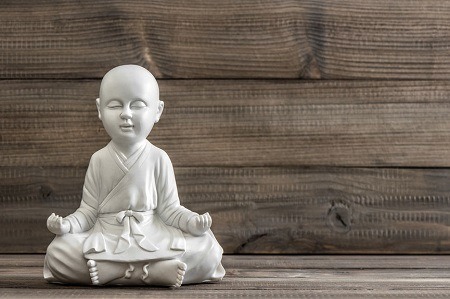 There are three different methods of guided meditation that are used most often. In a class-based system, several people will come together to listen to the meditation guide. You will have your own space, but you will also be in the company of others who are attempting to find some peace. You’ll be asked to find a comfortable position. Then your guide will provide a series of visualizations to help each person in the class begin to find stillness. As stillness arrives, stress begins to disappear. The mind begins to clear. Your guide will then offer positive affirmations or suggestions that you can use in other areas of your life. Partnership meditation is a similar experience to a class-based session, but with a personalized guide instead of a generalized one. You would work 1-on-1 with a guide in partnership meditation, with your guide providing visualizations to help you relax and open your mind. Then your guide will give you specific instructions during your meditation that will help you bring about positive changes to your life. It is an effective way to transform your personal perspective about the universe. Deeper relaxation and a heightened awareness about the self are possible through partnership meditation. It is also possible to have guided meditation without a class or partner. There are numerous online videos and audio tracks that will guide you toward a state of relaxation and mental openness. Although these downloads are generalized, it is a way to achieve a state of peace without needing to be social and that can be tremendously beneficial for some. Each method of guided meditation will gradually bring you back toward the present and a regular state of awareness. If done correctly by the guide and focused upon by the meditator, the result should be a feeling of refreshment. What is unique about this method of meditation is that specific goals can be included by your guide to enhance your physical life. Guided imagery can be helpful for those who are attempting to lose weight, stop smoking, manage pain, or promote physical healing in some other way. Many modern health problems have at least one link to daily stress. By rerouting the mind around the triggers which create stress, the physical displays of unregulated stress begin to fade away. This provides people with a healthier body, a healthier mind, and more energy over time, building a barrier to prevent sliding back into stressful routines in the future. 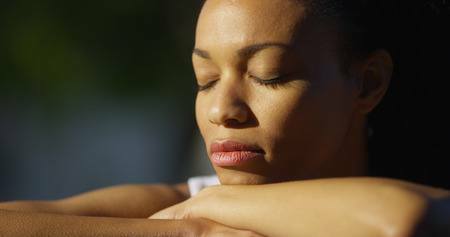 A guided meditation session of at least 15 minutes in length is typically recommended for maximizing positive results. 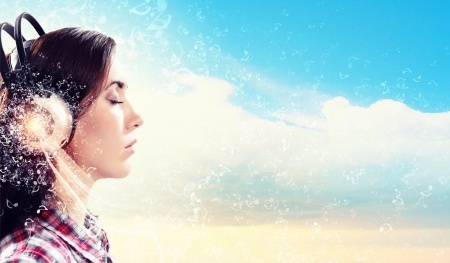 Guided meditation sessions of just 5 minutes, however, can provide personal benefits. The power of music is simply amazing. Just listening to classical music can spark personal creativity, reduce stress, and boost memory power. Now imagine having music composed to specifically encourage a deep and peaceful state. That is the power of music meditation. Several programs are available for download today to encourage a meditative state through music. 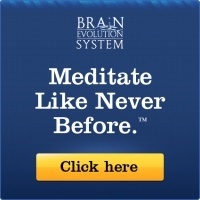 The list of compositions and programs is too numerous to list them all individually, but three good options are Zen12, Profound Meditation Program 3.0, and the Brain Evolution System. There are numerous videos available on YouTube which can also provide calming music for your next meditation session. Why does music help meditation? Because the music helps to act as a guide. Some would argue that a person cannot focus on their breathing and listen to music at the same time and they would be correct. Music can be a distraction for traditional forms of meditation, which are often practiced in silence. When music is used as a guide, however, it can lead you through a self-assistive process of deep relaxation and focus. The brain naturally tunes itself to the frequencies and waves that surround it. That is why you are more likely to feel tired when others around you feel tired. It is also why music-based products, such as brainwave entrainment, can be successful. Even if you use classical music or some other form of relaxing music without a guiding voice, there are still benefits that can be experienced. #1. Music with natural sounds can help the mind find balance. The human mind evolved within the confines of nature and maintains a link to it. Exposure to natural sounds helps the subconscious revert to this state. #2. Music can also help people to focus when breathing in silence is not possible. Some people have racing thoughts that never seem to cease. Music can replace breathing as the primary focus point and reduce these thoughts. #3. Music may reduce stress. You know how a favorite song brings a smile to your face? Your mind smiles when it hears familiar music as well. #4. Music helps to guide you toward your center. It’s a chance to find gratitude, inner peace, or set aside problems to focus on the perfect moments that are happening right now. 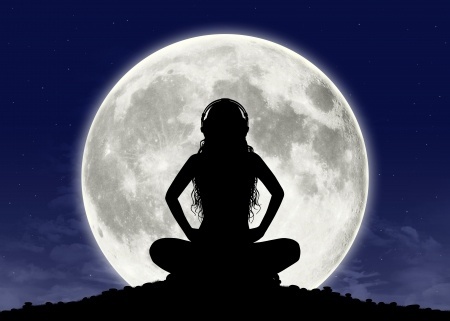 There are several different ways to incorporate music meditation into your routine. Downloads onto a mobile device and a set of stereo headphones are the usual recommendation, but you can go another route if you prefer. You can play these sounds directly on your computer. You can stream them from a Smart TV. You can even download relaxing music tracks off a premium music streaming program, such as Spotify, and use them at your discretion. Music has the power to wash over you and make your soul feel brand new. When included with meditation, that benefit can reach your subconscious. 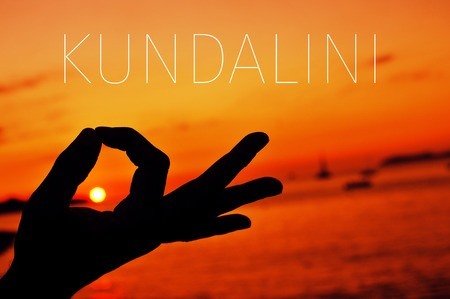 Kundalini is a source of creative and evolutionary intelligence that lies dormant within each person. According to traditional teachings, it is located at the base of the spine. It is often described as a “female energy source,” though it isn’t a physical component which exists. It is a subtle spiritual energy nexus. The purpose of this meditation is to surrender the ego to the divine. That may be the universe, God, Goddess, or even love – whatever is personally considered to be divine by your own definition. The act of surrender is considered the beginning of self-realization. What is unique about this form of meditation is that when you can tap into this energy, you’ve only then started the journey toward a deeper understanding of the mind, body, and universe. Accessing this energy is generally a three-step process. #2. Control your circulatory system. #3. Implement your preferred Kundalini meditation method. One effective meditation method to access this energy resource is called Golden Flower Meditation. Achieving a Kundalini awakening is not an easy journey to begin. When you can tap into that energy for the first time, the results may be unpleasant. This is because the act of letting go can be tremendously hard for the mind to do, especially if one is just beginning to meditate in the first place. Here is the unique aspect of Kundalini meditation: you can take actions to awaken this energy source throughout the day. Not only can you implement Kundalini meditation like any other form of meditating, but it can also be a system of mindfulness. You can awaken your Kundalini throughout each day with the choices that you make. Here are some of the best ways to tap into this spiritual creative center. #1. Love God and serve others. See the universe as an expression of the Divine based on your own perception of what is Divine. #2. Maintain a positive attitude. Look for the good that exists in everyone and everything. Focus on being generous and expansive with your thoughts instead of falling into the traps of negativity. #3. Affirm the higher nature of your being, but do not allow this expression to feed your ego. Your mind is special and unique, but is also an expression of the Divine. #4. Maintain a greater awareness. Do not allow the mind to be dulled. #5. Use affirmations, chants, and/or prayers on a regular basis. #6. Embrace every situation, whether it brings joy or sorrow. Bring your energy into everything that you do. #7. Use good posture throughout the day. Keep your spine straight and centered, maintaining your focus on the energy which resides there. #8. Begin to learn how to draw up energy from this resource instead of forcing it upward. This can be achieved through breathing exercises, Yoga, visualization, regular exercise, and many of the other different ways to meditate. This method of meditation is often called one of the most powerful methods of Yoga and meditation. It may not be the best method to use if you’re just starting your journey toward daily meditation. If you’re willing to tune into the rhythms of the Divine and let go of the rhythms of your body, however, it could provide you with amazing daily benefits. There are two ways to approach equanimity meditation: to create equality, or to create detachment from all things. You choose the approach which feels the most comfortable to you. When you develop meditation skills with this technique, the world seems to offer you additional chances to offer love to others. You can walk into any situation and radiate compassion. Each moment feels like there is an emphasis on equanimity. Even when difficult emotions are expressed (grief, doubt, uncertainty), you still find moments to offer love. Use this meditation option to dwell on how you can provide harmony to the chaotic world around you. When your focus is on contentment, gratefulness, and peace, then these elements are discovered more often around you. Equanimity meditation teaches that you are in control of life. You are the creator of your circumstances. 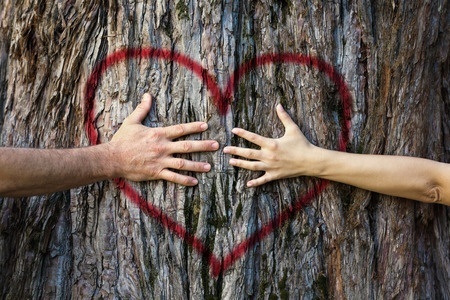 If you focus is on radiating love first, then the power of this expression generates moments of peace. 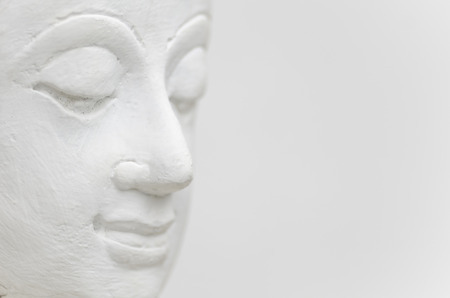 Here are the steps to take when practicing equanimity meditation for the first time. Find a comfortable position for meditation. It helps to sit in a correct meditating posture, with a straight back, tall perspective, and comfortable gaze facing forward. Get into a space where physical discomforts are minimal. Become aware of the room elements. Feel the shapes, textures, colors, and light which surrounds you in your meditation environment. Observe each element without fixating on it whenever possible. Expand your awareness. Allow your senses to observe the full circumference of your meditation space. Include yourself in the observations you make in these initial moments. Focus on the sensations you experience. Take mental notes on what you experience in your meditation space. Does it feel warm or cold there? What smells do you experience? Is there tension in your muscles? Notice the sounds. Receive the noise that is in your meditation space. Do your best to avoid a response to it. Become fully aware. Do your best to process all the information provided to you at this moment. Let your senses speak simultaneously as you scan for input. Avoid fixating on one element whenever possible to bring about a total awareness. Radiate love to others. Find an authentic space in your heart where love radiates outward. Then send this expression to everything or everyone in front of you. Allow your emotion to fill the spaces around you, pushing outward as if it were a relentless wave striving to reach the shore. Take everything in. When radiating love outward, it is essential that you send these waves inward as well. You cannot love others to the fullest without also loving who you are. Now spread it to the universe. Everyone and everything has the right to experience love. You can be the catalyst to make this happen. Allow your expression to seep into every atom, particle, and element in the universe. Encompass everything. 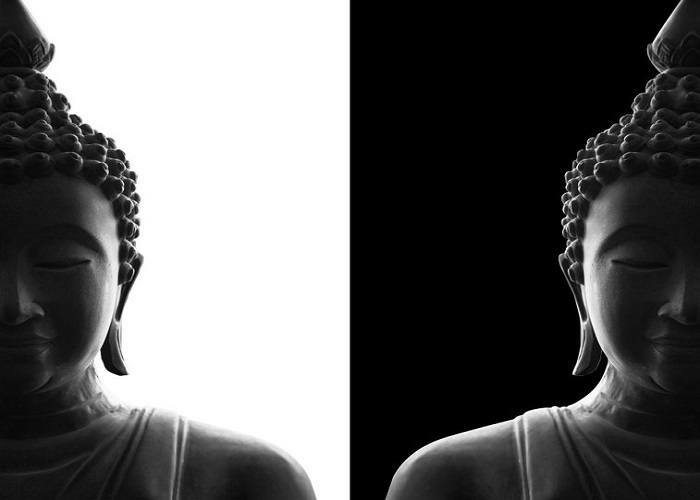 Equanimity meditation offers a powerful way to shift internal perspectives. When you experience negativity in life, spending time to create balance through expressions of love can turn destructive forces into ones that heal. This meditation technique is one of the easiest ways to create new habits for those with busy minds. When you first begin trying to meditate, active minds struggle to slow down. Using this technique helps to master your brain by giving your consciousness more control over each situation you encounter. Begin by closing your eyes. There’s a good chance your brain will immediately encourage racing thoughts. ​​Focusing on a mantra will shift this activity. After you close your eyes, focus on the word “release” during the time you spend in meditation. Repeat the word as your mantra throughout the entire time. Then set an intentional goal as you transition out of your meditation experience. What is it that you want to do? Who is it that you wish to be? Let your eyes open after you set this goal. Then make intentional choices about how you can feel better throughout each day. You can choose to meditate in a quiet environment, use background music which offers relaxation, or follow audio tracks created specifically for the release meditation technique. Then follow the steps each day to produce results. Acem meditation came about in the 1960s as a way to meditate on sounds without a mental effort. This option works well for those who struggle with thoughts or impressions during each session. It only takes ten minutes to experience results with this meditation technique. Long-time practitioners may use it for up to 45 minutes each day. You will focus on a mantra of sounds when practicing this meditation option. One must offer the mantra using a free mental attitude to create the effortless state necessary to achieve results. There are no specific meditation poses, environments, or activities necessary to create results with this meditation option. The focus is on the physiology of meditation with this practice. Acem meditation requires a method sound to create results. You can then request a personalized sound after six months of regular practice with this technique. You must start with the beginner’s course, available through Acem International if you have interest in this meditation method. What Method of Meditation is Right for You? There is no one “general” type of meditation that is right for everyone. Our approach must therefore be equally unique. Although the final goal of each meditation type might be slightly different, the benefits are often the same. Regular meditation allows for a greater resilience against the stress and despair that can be encountered every day. The first days of a new form of meditation or when you start meditating for the very first time can offer difficult moments. It may feel like you’ve accomplished nothing at all, but this is not true. Being willing to start the meditation process is still a step forward. Do not allow any negative self-talk or thoughts convince you otherwise. Keep pushing forward. 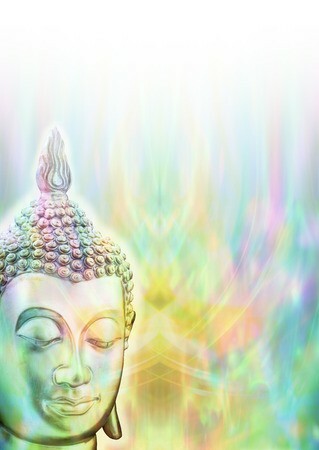 Meditate for as long as you feel comfortable each day. Over time, no matter which way you’ve chosen to meditate, there will be tangible benefits that will become present in your life. What type of meditation have you tried and what benefits have you experienced?